This is the tale of a life spent between heaven and hell. 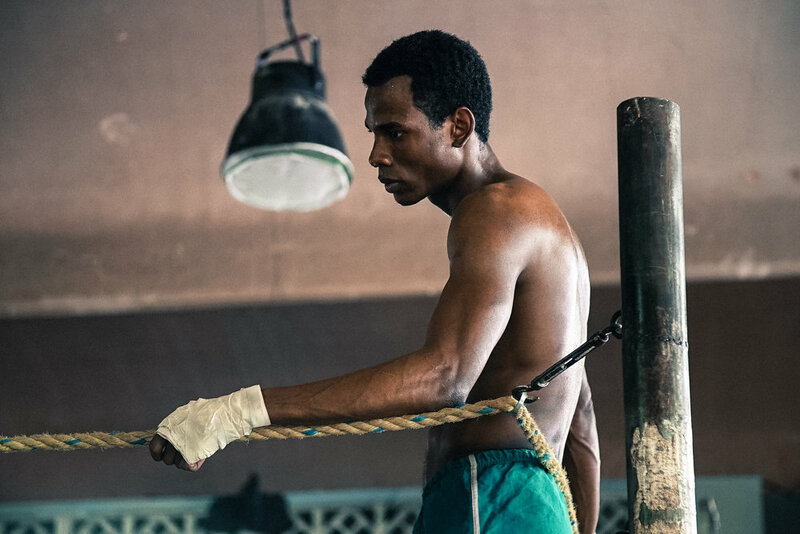 The story of a man who made a living as a shoeshine boy in the streets of Cartagena and went on to become the Welterweight Boxing Champion better known as Kid Pambelé. During his years of glory in the 1970s, Antonio Cervantes was one of the most dazzling sportsmen boxing has ever known. His charismatic persona is deeply rooted in the Colombian and Venezuelan collective memory. He remains a legendary hero, known not only for the power of his fists but also for his lavish lifestyle. But fame and glory come with a price. Pambele’s struggles — his rise and demise — are captured in 80 one-hour episodes. This TV series recreates the glorious and tragic life of Antonio Cervantes, Kid Pambelé.